The Flamingo and the now-gone Bill’s Gamblin’ Hall (now The Cromwell) at the intersection of the The Strip and Flamingo Road, Las Vegas. 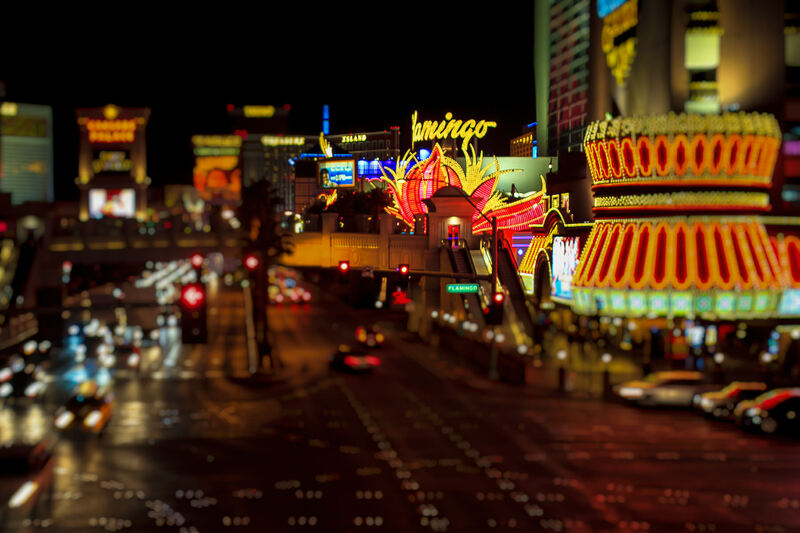 A pedestrian bridge over the Strip (Las Vegas Blvd.) 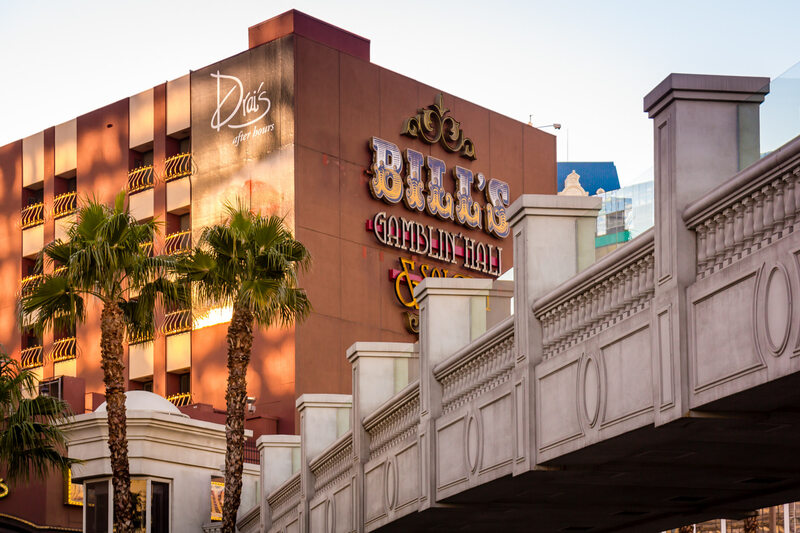 leads to Bill’s Gamblin’ Hall and Casino, Las Vegas. 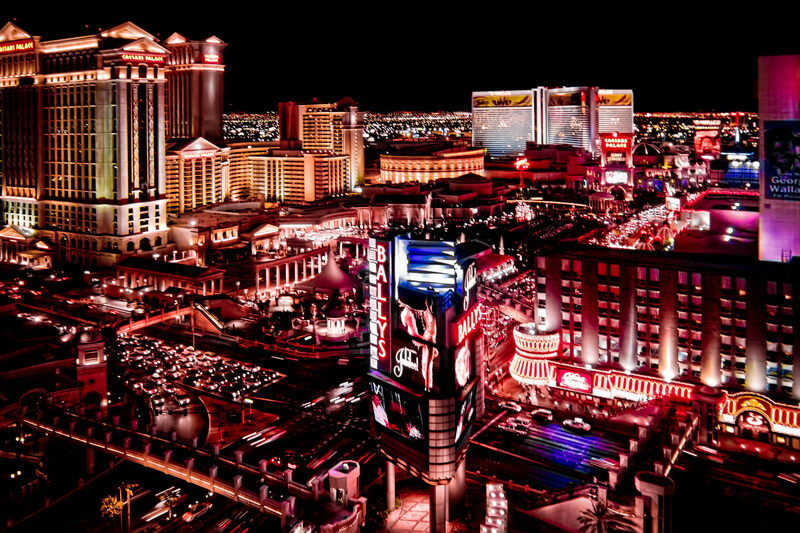 The intersection of Flamingo Road and the Las Vegas Strip (Las Vegas Boulevard) as seen from Ballys at night. 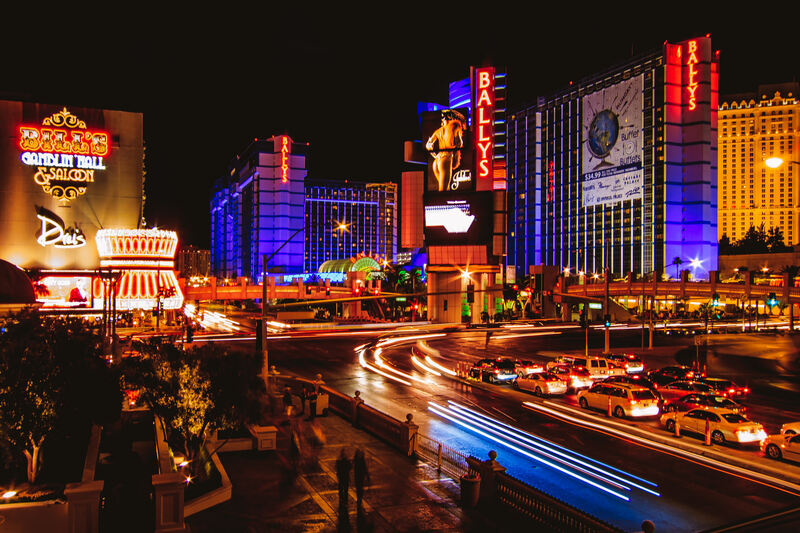 The intersection of Las Vegas Boulevard (The Strip) and Flamingo Road.